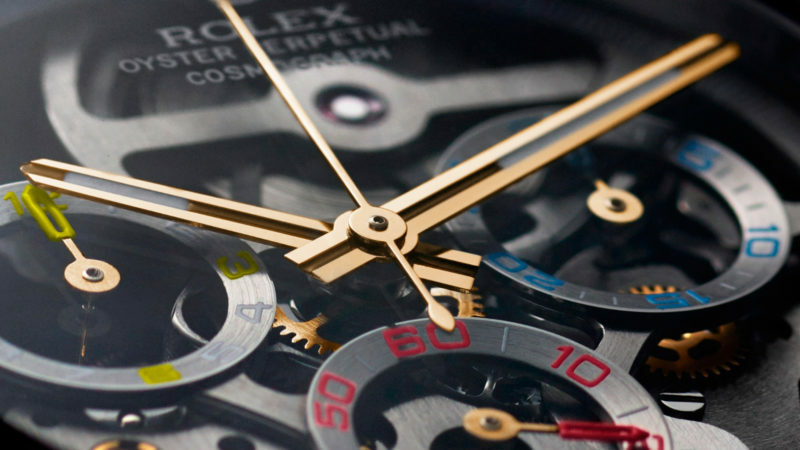 Ever wondered what a solid gold skeletal Rolex Daytona would look like? In short, stunning. 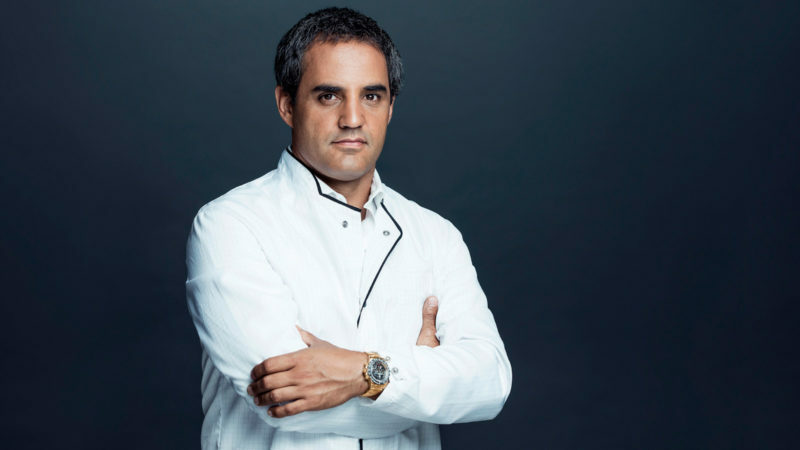 Juan Pablo Montoya has driven some pretty serious high-performance machines to win the Indianapolis 500, the 24 Hours of Daytona, the Race of Champions, and other top international motorsports events. 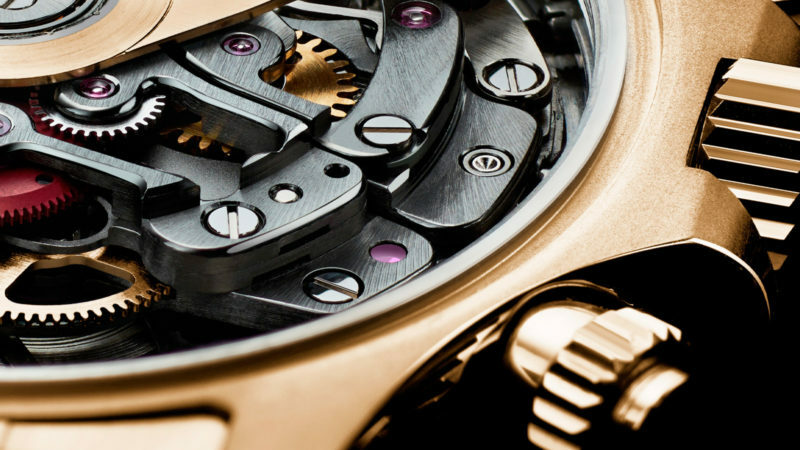 His wristwatch of choice, the Rolex Daytona, combines his appreciation of precision mechanics with his passion for competitive racing. 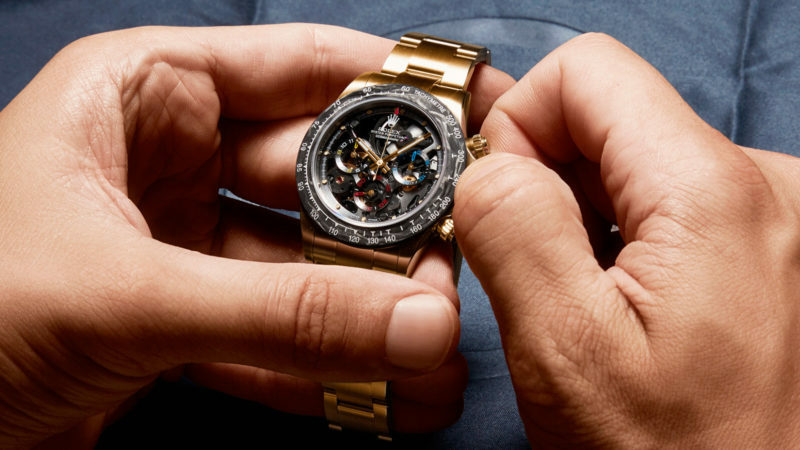 After all, the original Daytona watch was born in the early 1960s when Rolex became the official timekeeper of the Daytona International Speedway. 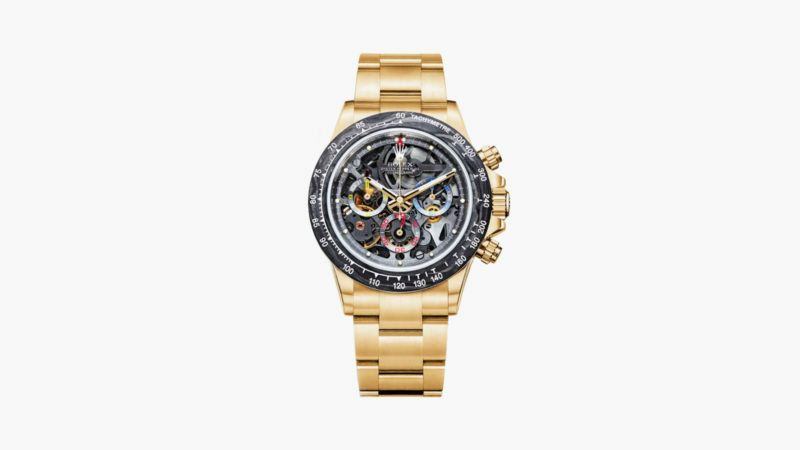 After two years of collaborative research and development, Juan Pablo Montoya and Rolex are proud to announce the release of a skeletonized version of the Rolex Daytona in 18k solid gold. The hand-crafted limited production Artisans de Genève La Montoya Gold is a solid gold iteration of last year’s La Montoya, and features refinements and complications that include a solid 21-carat gold openwork rotor, a custom Tachymeter bezel machined from a forged carbon block, and both indices and counters in the colors of the Colombian flag.